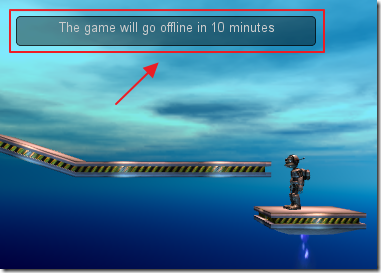 In this example, we will demonstrate, using Visual Studio LightSwitch, an application to monitor and send messages to a Unity 3D online game. Previously, we covered using LightSwitch to support a Android mobile application in: Communicating With LightSwitch Using Android App Inventor. We have also covered implementing user and role based security using LightSwitch and OData in: A Full CRUD LightSwitch JQuery Mobile Application and A Full CRUD DataJs and KnockoutJs LightSwitch Example Using Only An .Html Page. This article coverers a proof of concept we recently created for a video game project. We plan to have several players playing online at one time and we need to monitor the game from each players perspective. In addition, we need to be able to transmit messages to individual players and to all players. It is possible to implement this additional functionality using Unity 3D, but Unity 3D is really is not designed for forms over data operations for such things as user account management, tracking and facilitating in-game purchases, forum and chat logs, player notes, and tracking complaints. We desire to use LightSwitch as the control center and database for everything involved with maintaining an online Unity 3D game. 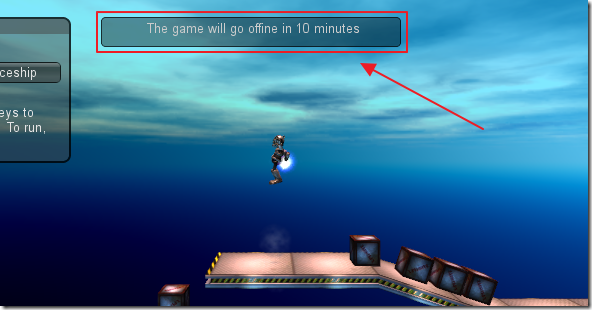 Using the methods described in this article, one could also control each of the players in the game, but currently we do not have that requirement. Also, we will not cover security in this example (to keep the code simple), however, LightSwitch allows you to implement any security methods you require. 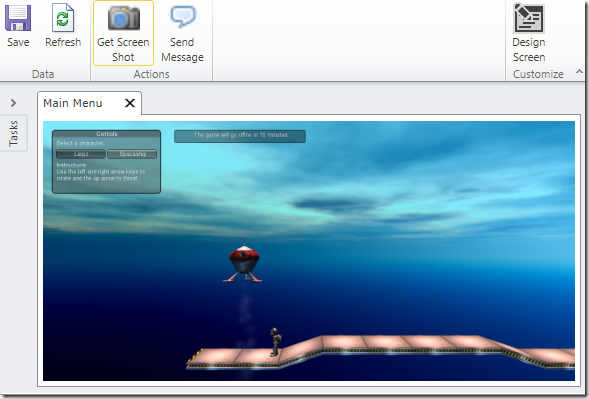 For the end-user playing the game, all they see are messages transmitted to the game, that appear in a box inside the game. 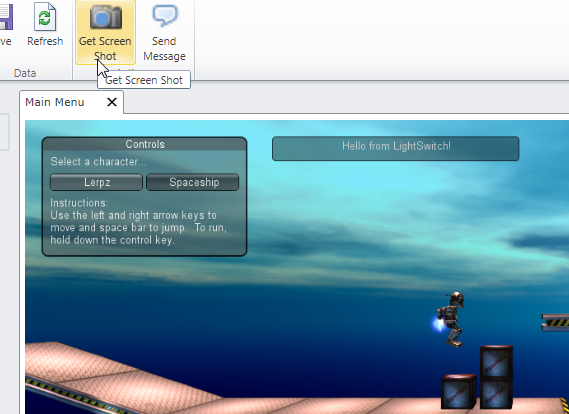 The LightSwitch application allows an administrator to have the Unity 3D game send a screen shot by clicking the Get Screen Shot button. The screen shot is displayed in the LightSwitch application. …and entering a message and clicking Save Message. 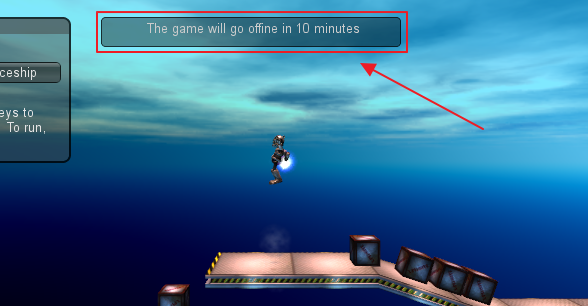 The message appears in the game. 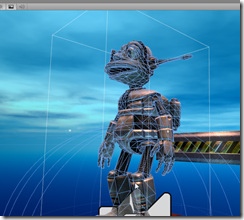 Unity 3D is a game development tool that allows you to create professional games. It allows you to publish your games on multiple platforms. best of all you can download it for free. You only have to pay if you want to publish your game to anything other than the web based player (or you want the professional features). Unity 3D has some of the best documentation and tutorials you will find anywhere. For the example Unity 3D project, we will use the game covered in the 2D Gameplay Tutorial. 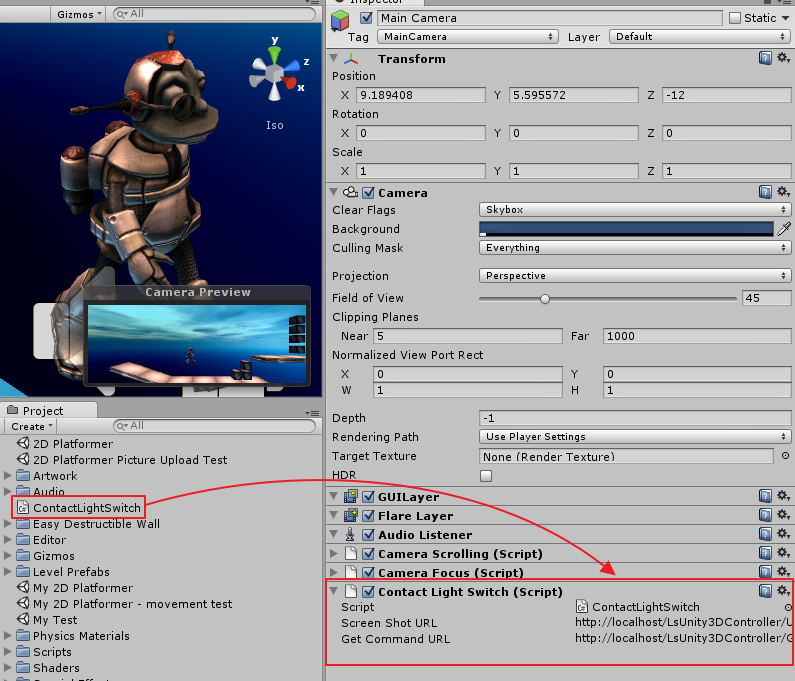 The public variables show up in the property panel for the script, and allow the game designer to set them explicitly in the Unity 3D inspector panel, or programmatically from another script. 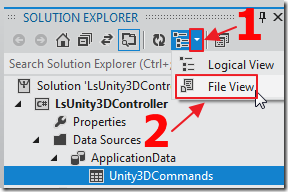 The LightSwitch application uses a single entity (table) called Unity3DCommand. This is the table that commands for the Unity 3D game are entered into, and read from, by the Unity 3D game. Next, we switch to File View. 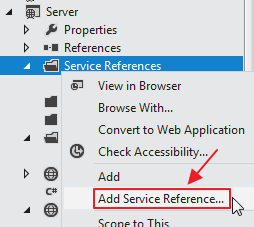 We add an OData Service Reference. 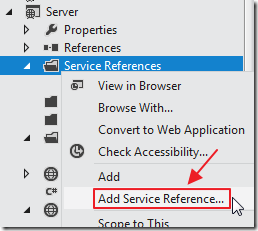 See: Calling LightSwitch 2011 OData Using Server Side Code for a step-by-step walk-thru on the process. 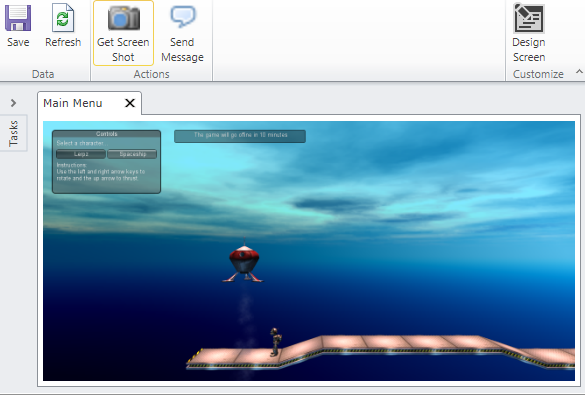 The main screen allows us to see the screen shot from the Unity 3D game and to issue commands. This solution is actually ‘low tech’. It uses simple communication over normal HTTP protocols. This avoids most network and firewall complications and issues. This is intended to demonstrate that LightSwitch is not just for simple forms over data applications, it can easily integrate into complex applications and deployments. 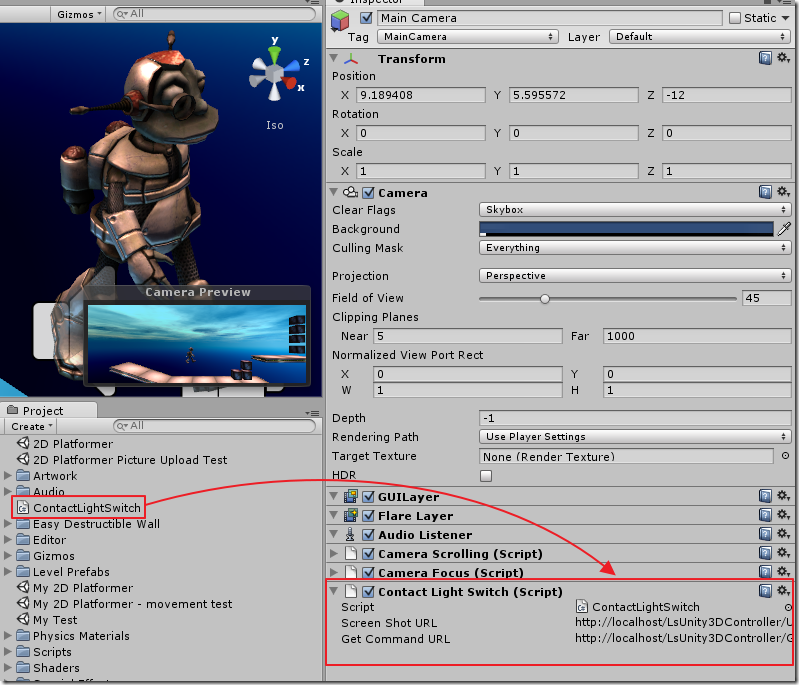 The account the web server is running under needs create and write permission to save the screenshot.png file that is sent by the Unity 3D game. If you publish the Unity 3D game to the web player, you will need to run the app in the same domain as the LightSwitch application or create a cross domain policy file and place it in the root directory of the LightSwitch application. 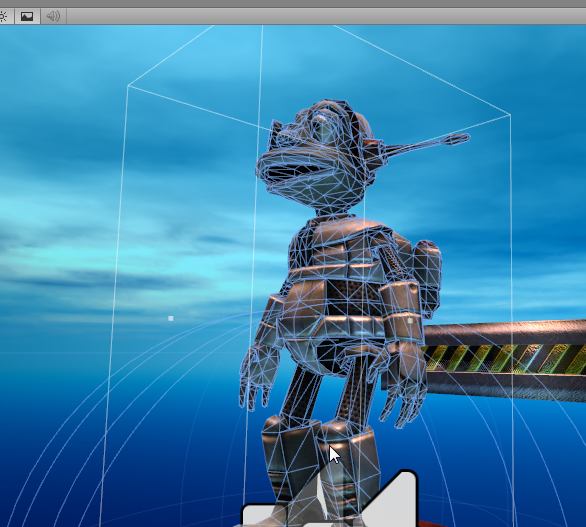 The Unity 3D game will go to sleep and not process any commands if it does not have the focus. To properly test this application you need to use two different computers or switch to the Unity 3D game and click on the play area to get it to respond to the commands from LightSwitch. 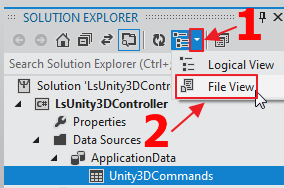 I'm download sample project(LsUnity3DController) and I'm want to debugging this sample project(LsUnity3DController) in My VisualSutudio2012. @TaeSoon - I just downloaded the code and it did the upgrade and it worked fine for me. @JAVAHell - Delete the reference and recreate it.